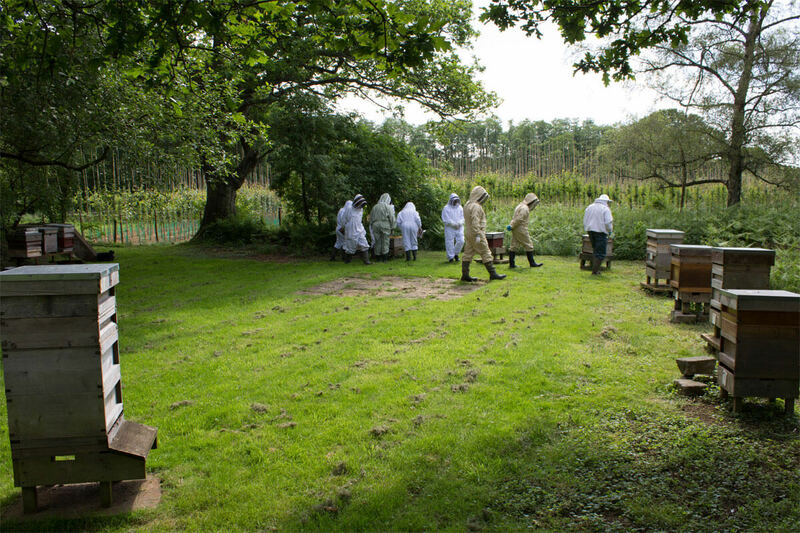 The association’s apiary exists to provide practical education to members. It also provides the opportunity to produce and sell honey and thereby raise income to offset costs. It is managed by four apiary custodians who each have a three year tenure plus the Chairman who provides a communication channel to the committee. Apiary meetings are held regularly throughout the active season with sessions being led by experienced beekeepers from the association. For Beginners it provides the opportunity to inspect and handle bees under guidance before they get their own bees. 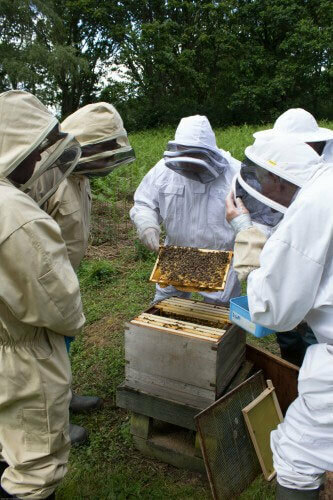 For Novices it provides the opportunity to develop the practical skills required to handle and manage bees as verified by the BBKA Basic Assessment in Beekeeping which is usually held in the apiary each year. Opportunities exist for Improvers and those with more experience to assist newer members as well as performing more advanced manipulations as required from time to time. Above all it is an opportunity for members to meet and engage in bee-related discussion prompted by actual practical beekeeping scenarios. There are currently 8 colonies established in the apiary. All members will be most welcome. Disposable gloves must be worn by anyone handling bees and those gloves placed in the apiary rubbish bag on completion. Footwear worn must be capable of being put in the disinfectant bucket at the apiary. Beesuits MUST be be freshly washed (with disinfectant as well as washing powder) and should be washed immediately after the visit.